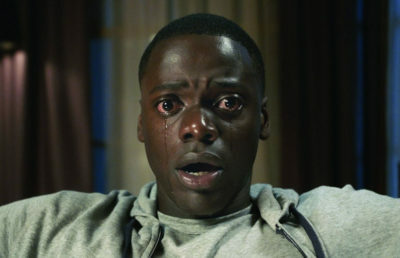 What should white people get out of ‘Get Out’? Whenever I can, I try to learn about the context of a controversial story before fully judging it. I fail to do so on plenty of occasions — I’m only human — but I try every time. 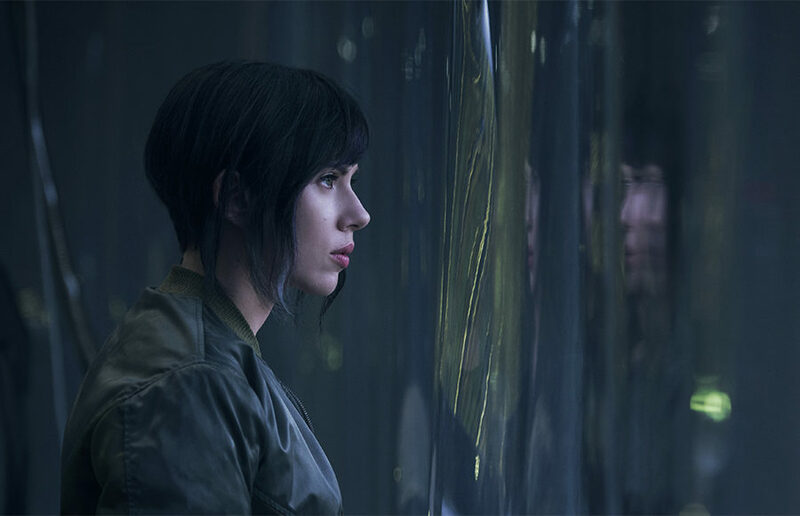 And that’s why I didn’t say much about the new live-action adaptation of the Japanese manga-turned-anime “Ghost in the Shell.” I might have muttered, “I didn’t know Johansson is a Japanese last name” to friends after seeing the trailer in theaters. But that was the extent of my pre-context ramble, even as a Japanese-American myself. So, I watched “Ghost in the Shell.” It’s an aesthetically stunning blockbuster with heart-pounding, beautifully choreographed action — an actual achievement in a world of incoherent fight scenes and visual effects. Scarlett Johansson is a force to be reckoned with and an actress to be championed because of her past of playing strong female characters. Getting to the point, however, maybe this isn’t one to tag onto that list — not because Major Mira Killian isn’t a strong female character, but because the film is mired in racial issues. 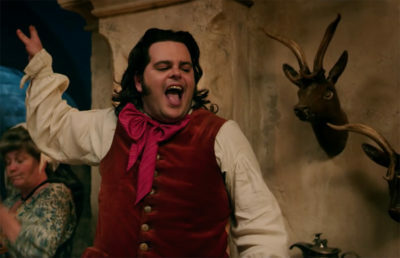 While you may expect a rant about the offensive whitewashing in the film, the issue is far more complicated than that — a conclusion I’m happy to come to because it proves the need for context. The body of Scarlett Johansson’s Major Mira Killian is artificial. It’s a technological “shell” created by a corporation that seems to deem white beauty as the perfect form for a skilled combatant. Then the big reveal drops: Major Mira Killian was originally Motoko Kusanagi (the name of the manga and anime character.) She just doesn’t remember because her brain was uploaded with a fake past. The film is a Jason Bourne-esque journey of recovering her identity, memory and humanity, and after that reveal, her race as well. Let’s be clear: The lead should’ve been a Japanese or Japanese-American actress. The story didn’t need to change its focus; it still could’ve been an exploration of Japanese-specific topics by simply casting a Japanese woman. But the filmmakers chose to adapt it, which changes the conversation around whitewashing. Conceptually, the idea of racial erasure could have worked. As a Japanese-American who is never recognized as half-Japanese — and even when I am recognized, many suppress that half as less important or prevalent — I can speak to the validity of feeling as though the society in which I live is forcing my white identity to overpower my Japanese half, to the truth of this specific racial erasure. In addition, many forget the influence that producers can have on a film, and there are four Japanese producers listed behind the project. So the earnestness and the actual suggestion of effort behind the attempt to contextualize the white image has merit. But the film doesn’t fully commit to the approach. While there is an explanation for Major’s whiteness, and for the whiteness of Michael Pitt’s Kuze, “Ghost in the Shell” makes no attempt to explain the staggering lack of Japanese characters for a film set in a futuristic Japanese city. There’s “Beat” Takeshi Kitano, the leader of government task force Section 9. “Beat” has plenty of lines, all spoken in Japanese, and avoids the pitfall Japanese mentor trope. He also has an astoundingly badass, triumphant action scene — filling me with a sort of Japanese empowerment that I’ve felt very few times before while watching a movie. After him, there’s Yutaka Izumihara, who, from my memory, has one line. Then, we see the Danish Pilou Asbæk, the French Juliette Binoche, the Singaporean Chin Han, the British-Kurdish-Polish Danusia Samal, the Fijian-Australian Lasarus Ratuere, the Romanian Anamaria Marinca and the British Peter Ferdinando. That’s a lot of characters in Japan who aren’t Japanese. In any other film, this type of diversity would be astronomically impressive. But again, think about the context. 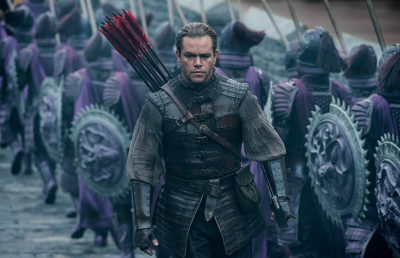 There’s a difference between half-assing a commitment to represent Japanese people and fully transporting the story to a white context, à la “Edge of Tomorrow” (adapted from the Japanese light novel “All You Need Is Kill”) and “The Departed” (adapted from the Hong Kong film “Infernal Affairs”). In regard to Johansson’s character, the potential for impact in regard to her stolen Japanese identity isn’t fulfilled. It’s not a focus for the middle third of the film, during which no subtext is developed, and the filmmakers whitewash Japanese characters’ behaviors. According to four Japanese actresses, who aren’t in the film, in an interview with the Hollywood Reporter, director Rupert Sanders — a white British man — seems to direct with a white gaze even after the reveal. They state that many of Major’s actions and those of her mother with whom she reunites are not reflective of Japanese behavior. Instead, it becomes Westernized sentimentality. Essentially, there’s no emotional payoff to the setup of Johansson’s character as racially erased because of a fundamental misunderstanding on how to offer the character a genuine way of reclaiming that identity, rendering the entire attempt at adapting to avoid actual whitewashing as moot. After the climax, there’s a perfect moment for her to own the name “Major Motoko Kusanagi” instead of what she’d been using, “Major Mira Killian,” but the script simply has her say “Major.” If the film is truly about racial erasure, why, after the reveal, are we only shown a tiny glimpse of Motoko and not a full representation of her image and her backstory? How powerful would it have been for Major to literally reclaim her Japanese body via the film building one for her? What an empowering and astounding move it would’ve been for the true Motoko to come back and a Japanese actress to take over the franchise. There’s so much more to this discussion of race in “Ghost in the Shell.” One could probably do a shot-for-shot analysis of how the film itself, not the corporation, views the white body, or pick apart the few seconds in which we see the real Motoko and whether or not the film is suppressing her image. What I’m glad about is the fact that after seeing the film, I can say that it’s not blatant whitewashing. While the internet may have imploded, expecting the worst, the truth is far more complicated. It needs context. “Ghost in the Shell” is an attempt to adapt the original anime’s concepts so that whiteness is contextualized and a part of the problem — a far better cry than simply avoiding race and placing a white character in the context of what should be a Japanese character. That’s a step forward for Hollywood. Albeit, the industry is so far in the wrong so often that it’s still a step within the deeply negative. The Western eye behind the camera still permeates through the story; it’s never fully self-aware or genuinely contextualized. But the film’s shell does, in fact, have a touch of ghost in it. Kyle Kizu is the arts & entertainment editor. Contact him at [email protected]. Tweet him at @kyle_kizu.